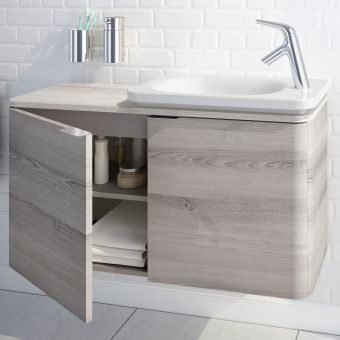 This beautiful cabinet is a stylish and innovative finishing touch to the matching square washbasin, allowing you to cover up those pipes while offering a finely crafted piece of functional bathroom furniture in its own right. 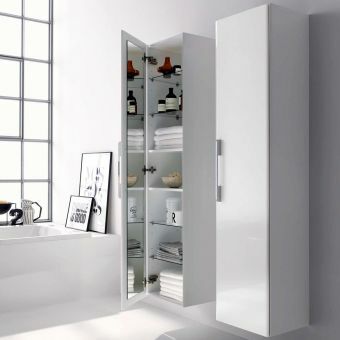 The cabinet is wall hung, and pre-assembled before delivery. 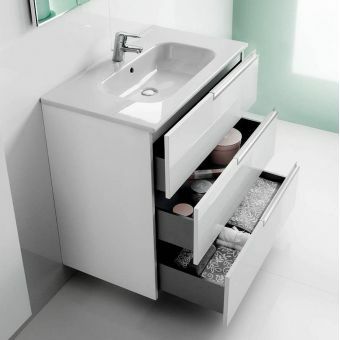 Neatly wrapping around the underside of your washbasin, it comes with two drawers, both with luxurious soft-closing facilities, enabling you to store your washbasin essentials in an otherwise wasted space. 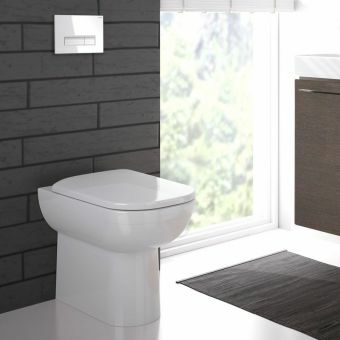 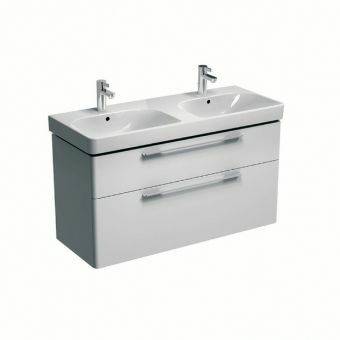 The moisture-resistant cabinet comes in a range of widths to match the appropriate square washbasin - 60, 75, 90 or 120 cm options – with a combined depth of 49cm worth of storage. 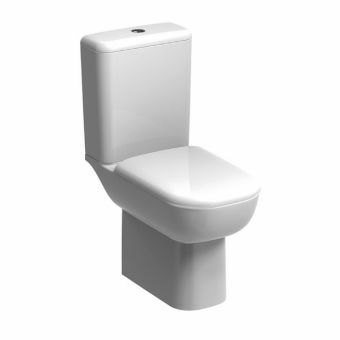 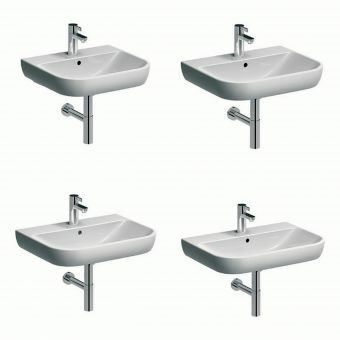 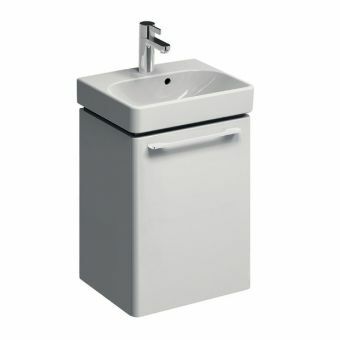 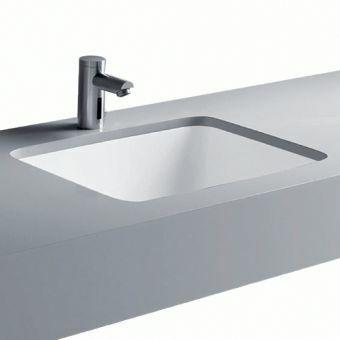 All basins have a single central tap hole but the 900 and 1200mm sizes can be supplied with 0 or 2 as special order. 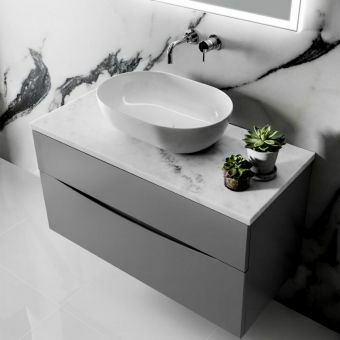 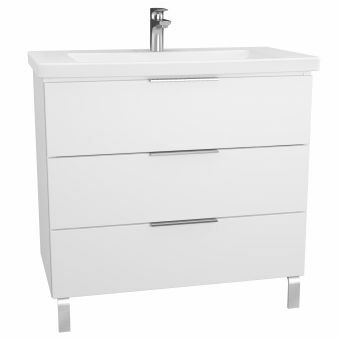 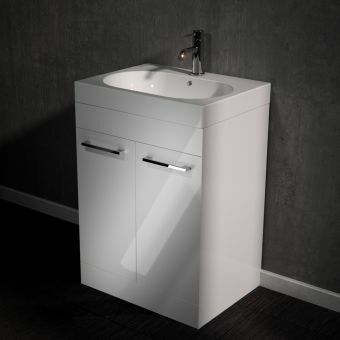 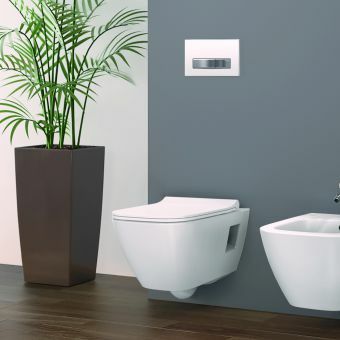 The unit is available in a high-gloss coated choice of white or light grey finishes to either match or contrast your chosen washbasin and thereby creates an attractive complete piece. 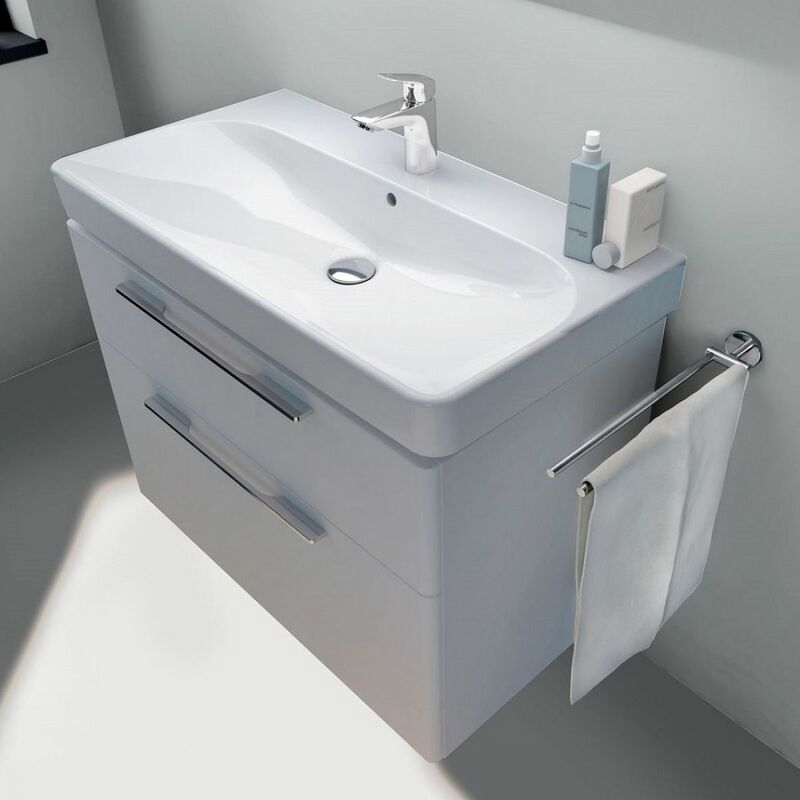 An ingenious and practical way to finish off your stunning bathroom suite in style.